0 Comments Published by Jane on Sunday, April 19, 2009 at 7:23 PM. Daniel M. Sullivan Jr. sent me a letter a few months ago with a very interesting tale. It involved Patrick Sullivan (1820-1888) and his home on Dunn Street in Thomaston, Me. According to Daniel, my great-great grandfather, Patrick Sullivan, was a man of modest means in Thomaston, but he had saved enough to purchase a lot of land on Dunn Street. But now that he had the lot of land, finding the money to build a home was beyond his reach. At least it was until the town of Thomaston decided to relocate and build a new post office. With the old post office building no longer needed, Patrick struck a deal with the town. He would buy the building for $1 and pay to move it onto his land on Dunn street. Pictured above is the Sullivan family home on Dunn Street in Thomaston. This image is likely from the early 1900s. The wood frame building clearly looks like a home, but now we know its former history as the town post office! 0 Comments Published by Jane on Tuesday, April 14, 2009 at 8:14 PM. After Great Aunt Mae's funeral yesterday I went with my parents, Uncle Justin, Aunt Barbara, and cousin Justin Jr. to start the process of packing up Mae's condo at Southgate. Over the past few years, as I became more interested in researching the family history, I would visit Mae and ask the same question - "Are you sure you don't have any family photos?" Every visit would end the same with her gesturing to some framed photographs on her TV or she would point to the small photo albums near her chair. Most of the photos in the albums were from the last few decades and sent to her from the various great nephews and nieces. All very interesting, but not what I was hoping to find. I was looking for the elusive images of Mae's aunts and uncles or perhaps her grandparents. Or even just images of her parents and her siblings when she was younger. She would always say that she used to have more pictures, but now had only what was on display in her living room. Monday afternoon, when I went to Mae's condo, I did not hold out much hope for finding additional family photos. I could not have been more wrong. It did not take long for photos to start emerging from all corners of Mae's home. Images stashed in desk and bureau drawers. More photos hiding among stacks of papers. Then the real find when I explored her storage cage at Southgate. Under the box containing Great Aunt Lou's carefully package wedding dress was a cardboard box filled with Deedy family pictures. Enough material to fill two suitcases. I am calling this collection of material "Mae's Suitcase Archive". I am now in the process of sorting through the treasure trove of images. I will be scanning, cataloging, and (hopefully) identifying all of the people and associated stories contained in the images. The originals will then be forwarded/dispersed among those in the family who should have them. I will work on putting all of the "Mae's Suitcase Archive" images that I capture digitally on CDs and send everyone who wants one copies - but this will take me some time. 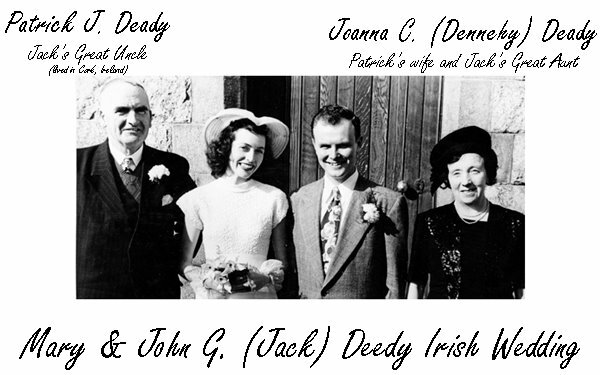 My Uncle Jack married his wife Mary (Noonan) Deedy in Ireland. Both were from Worcester, but Uncle Jack was in Ireland studying at Trinity College in Dublin. Neither Jack nor Mary's family could travel to Ireland to attend, instead Jack's uncle, Patrick J. Deady represented the family. He was Jack's grandfather's younger brother. Baptised in Firies, Ireland in 1884, he never emigrated to America like his brothers and sister - Edward, Alexander, William, Morris, and Nora did. Instead he settled in Cork with his wife Joanna. At the time of this photo Patrick would have been either 69 or 70 years old. 1 Comments Published by Jane on Monday, April 06, 2009 at 6:21 PM. She was born April 30, 1915 in Worcester, Massachusetts and named Rita. The fifth and youngest of parents Edward and Hannah, she was their late in life child, born when both were in their 40’s. Her eldest brother, Daniel was 14 when little Rita joined siblings John, Louise, and Elizabeth at 12 Wabash Avenue. She may have first been introduced to her siblings as Rita, but it was not long before the family started calling her Mae. The story goes that the doctor who missed her delivery placed her in her mother’s arms the next day exclaiming she was absolutely beautiful and should be named after the May day. 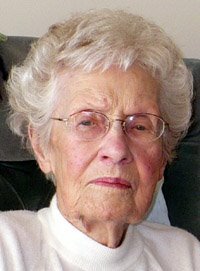 Mae spent her career working in insurance in a claims office. General Adjustment Bureau was the company she retired from according to Uncle Justin’s memory. Mae was a worker – certainly not much of a traveler. She was a quiet woman, happy to let her more outgoing sister Bet carry most conversations. She was methodical and orderly – not artistic like her sister Lou. Change was not something she embraced – she spent the first 70 years of her life at 12 Wabash Avenue and all 93 years of life in either Worcester or nearby Shrewsbury. She was 14 years old when her eldest brother Daniel died in 1929. While that brother left young, her remaining brother John G. Deedy stayed close until 1985 when he passed away. He provided Mae with four nephews. The oldest Jack arrived when Mae was just 8 years old herself. Ed arrived when she was 10. For Jack and Ed, Mae was closer to being a contemporary – certainly she was not viewed the same as their adult aunts and uncle. Nephews Justin and Tom arrived later, when Mae was 16 and 20 years old – for them she always belonged among the adults. Today Mae quietly left us all and is reuniting with her parents, siblings and nephew Jack. The Funeral will be held Monday April 13 at 11 AM at St. Mary’s 640 Main Street, Shrewsbury, MA. Calling hours at the funeral home are 9: 30 – 10:30 Monday April 13 at Callahan Fay Funeral Home 61 Myrtle Street, Worcester, MA. Burial will be in St. John’s Cemetery, Worcester. Here is the Eulogy Justin Deedy Jr. read during Mae's Funeral on Monday April 13, 2009. Lastly a special thank you to Bill Deedy who was kind enough to obtain a number of copies of the Worcester Telegram on the day Mae's obituary was published and handed those out to Mae's nephews Justin, Tom, and Ed Deedy. 0 Comments Published by Jane on Saturday, April 04, 2009 at 9:43 PM. 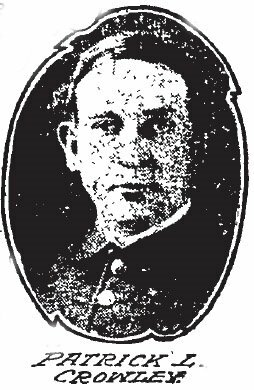 Another article featuring Patrick Crowley has been found and this one provides a wealth of information on the working conditions of Boston firemen and policemen in the early 1900's. Why do so many men leave the Fire Department for the Police Department? Full paid firemen who give up their positions now to enter the police service must expect to serve between five and six years before they are paid the salary that they were receiving when they made the change. Firemen have a day off in every five, two weeks' vacation, an hour and a quarter for meals, and when conditions permit are granted on Sundays what is known as "Church Leave." Unless an alarm to which their company responds is sounded, they are in quarters 20 1/2 hours daily. Actual firefighting occupies the smallest part of a fireman's time. It is the housework that wearies a fireman. In every house there are men who have duties similar to a servant girl. Making beds, sweeping and cleaning is a part of the everyday work of a fireman and in some houses the "skippers" are very exacting and have specially constructed brooms for locating tiny particles of dust. In some districts the firemen have to wind clocks and discharge other side duties not in line with firefighting, tasks which have been passed down to them from other generations. What a policeman has to do and how he should do it is outlined in the manual. You never have seen a policeman pushing a mop around unless it was in his own house. Policemen receive a day off in 15, two weeks' vacation, but no church leave. Day policemen have meal periods. Night officers do not. A house patrol in fire station is done in 24 hours a day and this breaks into the sleep of the men, but must be done. When the amount of time that a policeman devotes to his work is computed it is apparent that he does not have a great amount of time to himself, but still he is really never confined for any great period indoors. Within every six days a night policeman, in addition to his regular tours of street duty, has to do what is described as an "evening in the floor," a "house day" and a "morning in."